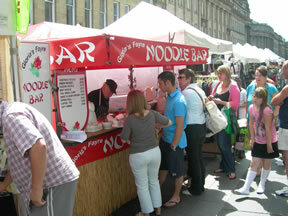 A unique street market with a festival feel featuring exotic world cooking, homemade, healthy and traceable foods together with ethical traded, handmade, eco – friendly arts, crafts, clothing, jewellery, accessories and original ideas! The World Village Market, taking place from 25th - 27th March on Putney Wharf and Church Square, will feature a great range of exotic foods, drink, crafts, clothing, jewellery, home furnishings and accessories. “We aim to create a World Village Market with products that are unique to particular regions of the world and products that are cultural identifiers. Britain provides the most complete meeting place in the world with its rich heritage and mixtures of old and new. It also has one of the world’s richest food cultures with dishes from India, Thailand, the Caribbean, South America and Europe providing ingredients to our nation’s staple diet. 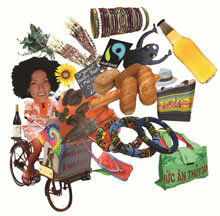 The World Village Market will feature many of these dishes together with a variety of ethically traded goods. “We continue to see a demand for original products of good quality.” said Paul. “A great many people care about where their food comes from and the ingredients that are used. 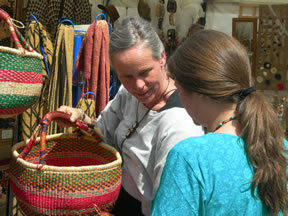 Similarly, original, handmade and or ethically traded arts, crafts, clothing and jewellery are holding their own in these challenging economic times precisely because people are being more careful about how they spend their money – they are looking for original products that have more than simply a commercial value. To add to the festival atmosphere, there will be live music a sangria stall and, oh yes, apparently there is some sort of boat race going on!